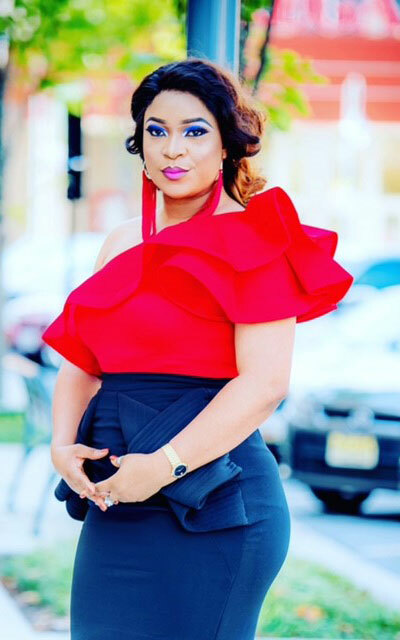 Loveth Ebede is a new breath of fresh air in Nollywood and she`s in a class of her own when it comes to her love for acting and entertainment in general. When I first watch one of her movie trailer in a recent production, she reminded me of one of Nollywood strong character and veteran actress by the name Eucharia Anunobi. Apart from her professional way of rendering lines in her role, Loveth`s ability to interpret roles and going into character puts the screen star in top rating list alongside few gifted female actors in Nollywood. Her introduction into the big screen movie professionally happened two years ago and ever since, the Diva has featured in over 10 movies, playing both lead and supporting roles. Among the movies are ; American Mama & Family, Professor Dicks, The Web, Burning Love, Seeking Asylum and Double Wahala. The Edo State born Actress, since coming into the lime light in the entertainment industry, have been pushing the buttons in other areas in the industry. Among those buttons is her daring to bring a childhood dream of owning an entertainment media platform which according to her has been her personal desire to have some level of control over media reports about some of African celebrities who are been publicize in a negative light without spending time to do what she called, investigative Journalism. In her words; “I believe the coming of the social media has taken away the core value of Journalist getting their facts right before hitting the internet. The reason for this according to the actress and media personality is that, anybody in today`s world can stay in the comfort of his or her home and write a report about any of our African stars without necessarily going all out for a fact finding mission. Clearly, these are among the reasons why no African celebrity that has not been misrepresented one way or another. We in the spotlight really need to develop a thick skin to the kind of media environment we are all witnessing today. From Nollywood to Hollyood, it`s the same misconception and misrepresentation. She concluded by advising African stars to build good media team to be able to handle their public relation in a positive manner. “In life, if you don’t take a position on what you stand for and your believe system, people will always help you to put words into places on your behalf and if you do not want that, I guess the right thing to do is to get a strong media team that can counter some of the media excesses. ” Loveth Ebede is today, proudly seating as the Chief Executive & publisher of Afrik Glamour Magazine online publication with an enviable audience from different African countries and the Untited States. Nollywood actors/actresses can discuss and share ideas on improvements in the Nollywood film industry. She co-founded The Nollywood Center USA with fellow actors, dedicated to training current and potential actors and actresses in the US. Loveth has also founded a special edition magazine called “Who Is Who In Nollywood USA”, which is a collection of all Nollywood actors/actresses based in America. she`s working with great hands in today`s modern and digital media industry who are on top of their game to bring this enviable project to light. The magazine is scheduled to be release bi-yearly. In the concluding part of her media chat, she disclosed that, some of her big project will be coming to the media in her own terms, time and season.